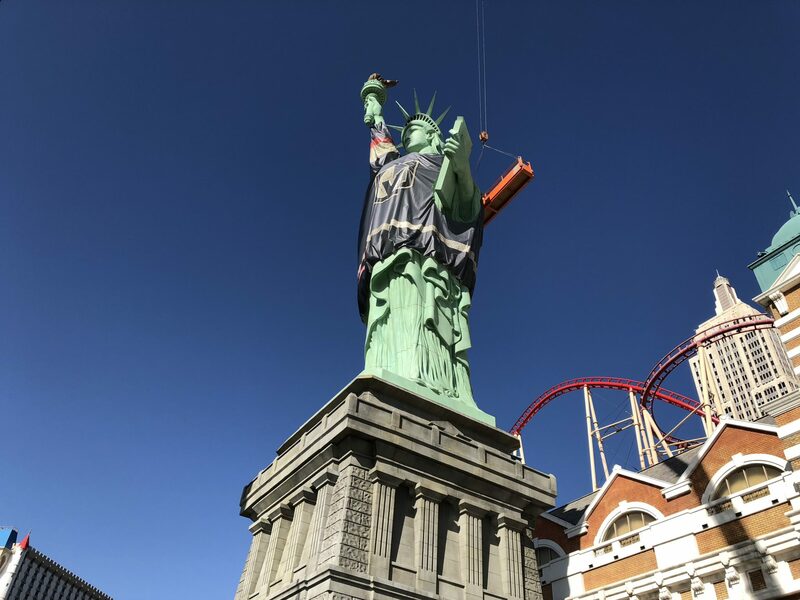 In preparation of Game 2 of the Stanley Cup Playoffs, Lady Liberty has put away her robe in favor of a sweater. 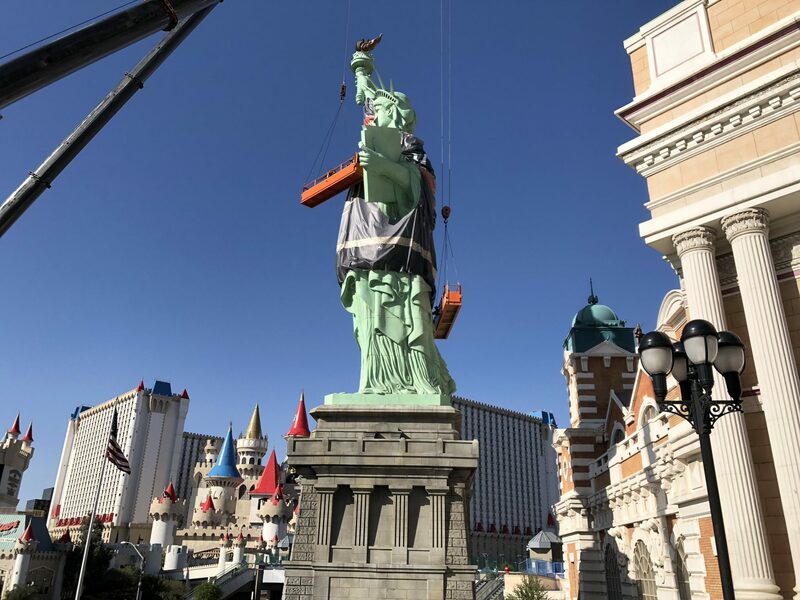 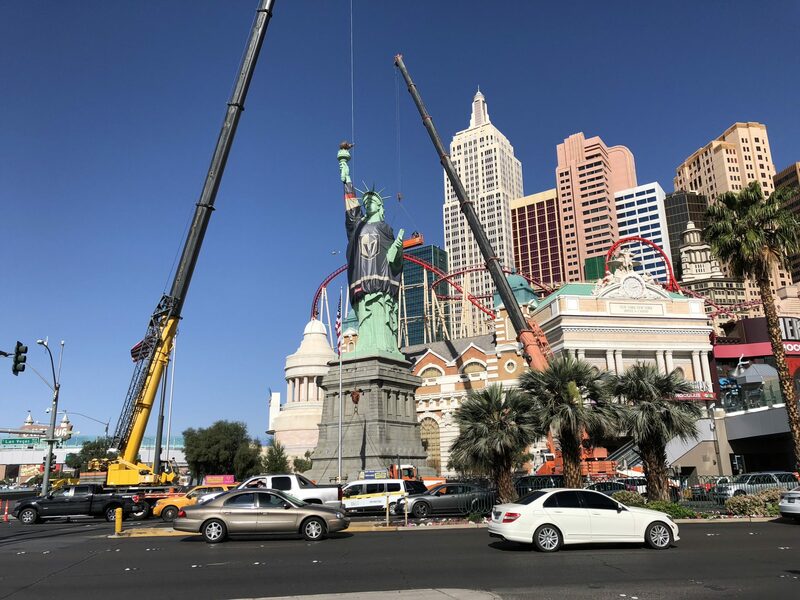 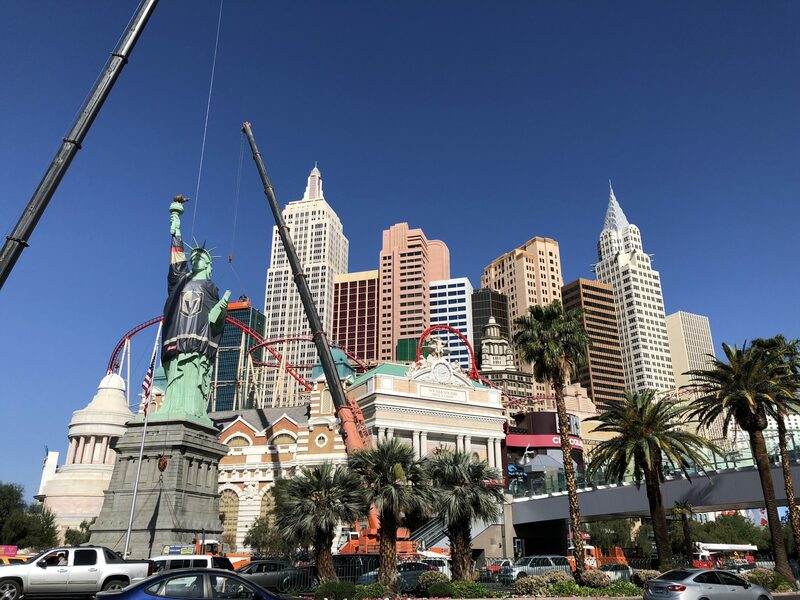 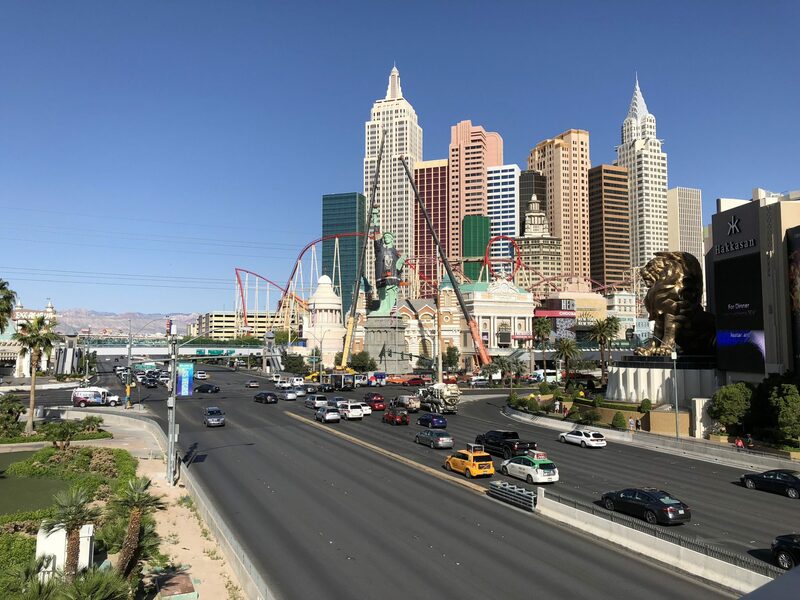 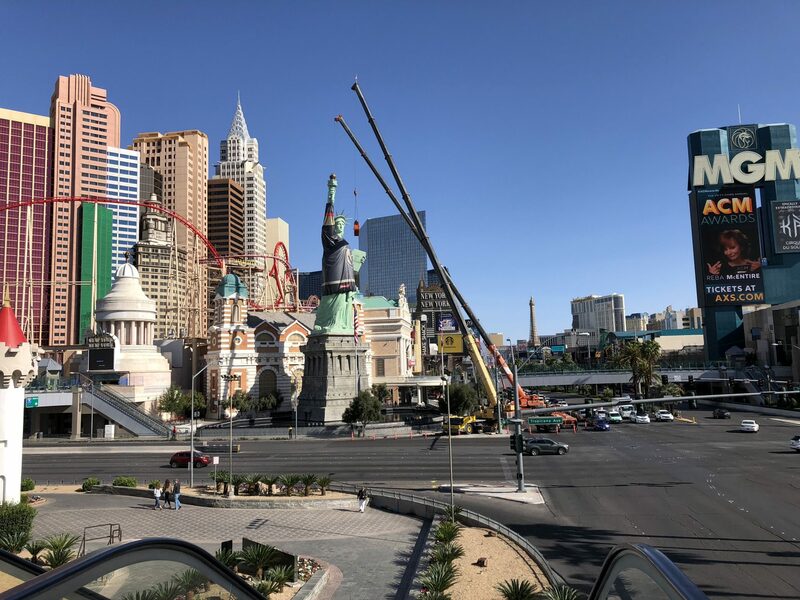 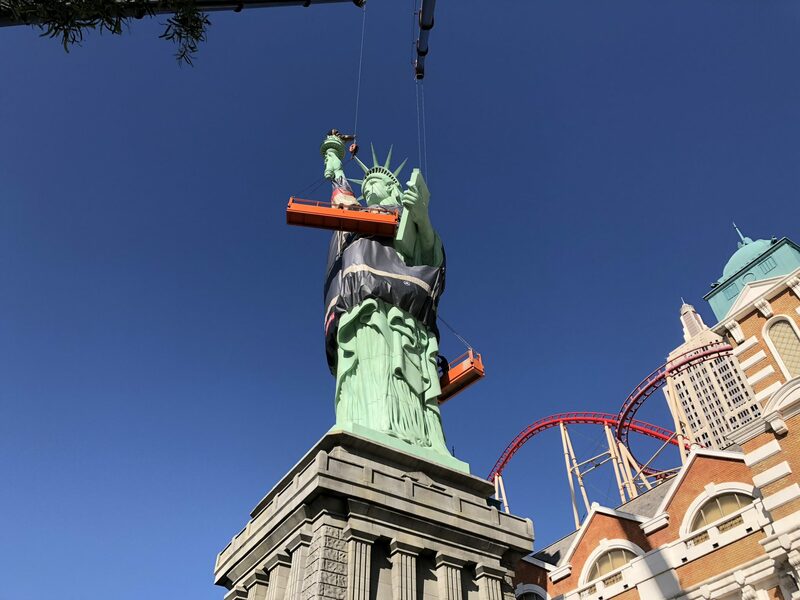 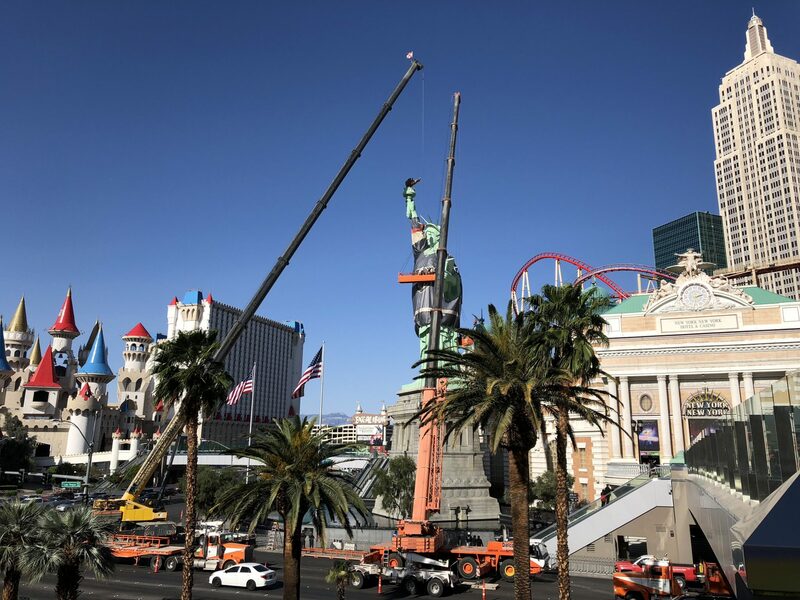 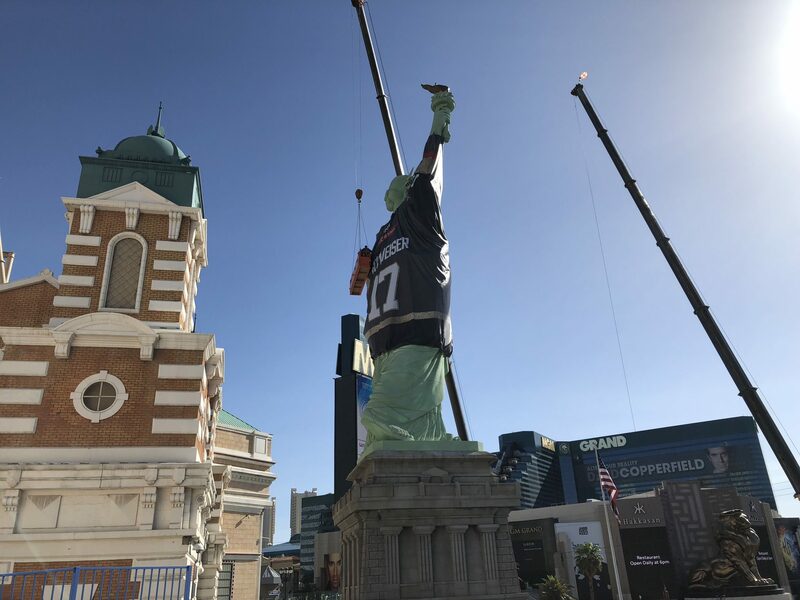 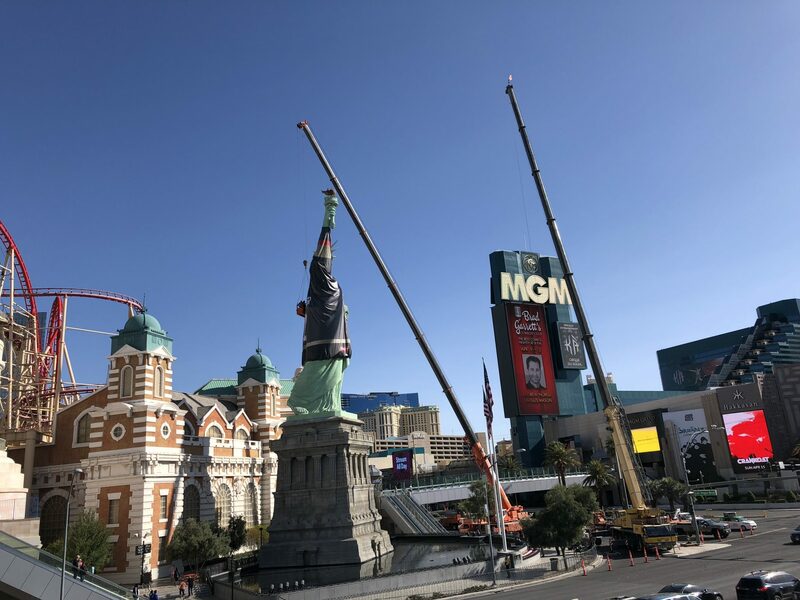 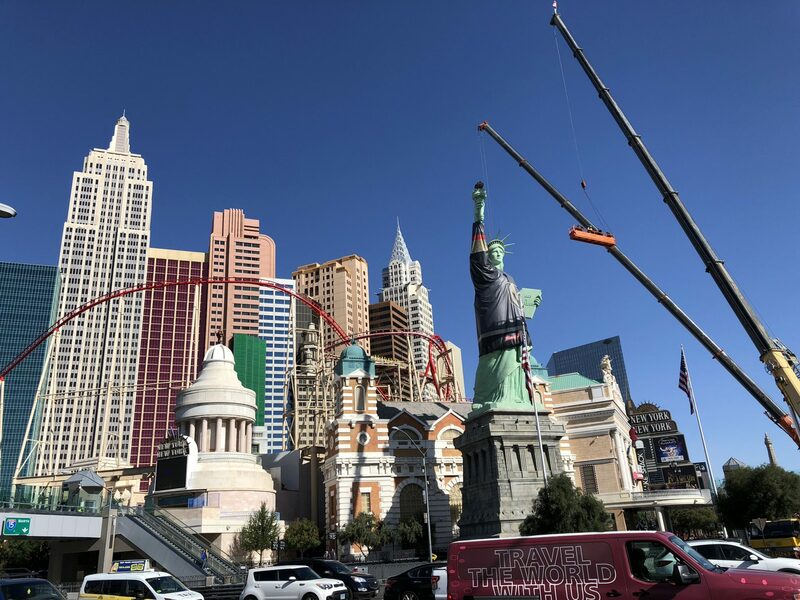 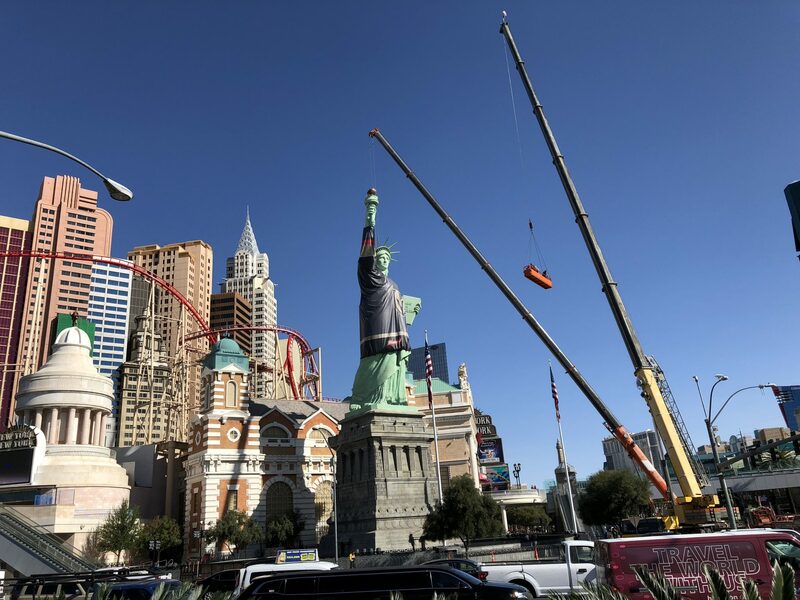 Early in the morning crews fashioned one of the most recognizable symbols of Las Vegas (yes, we’re aware there’s another one in real New York) with the jersey of the most popular story in sports. 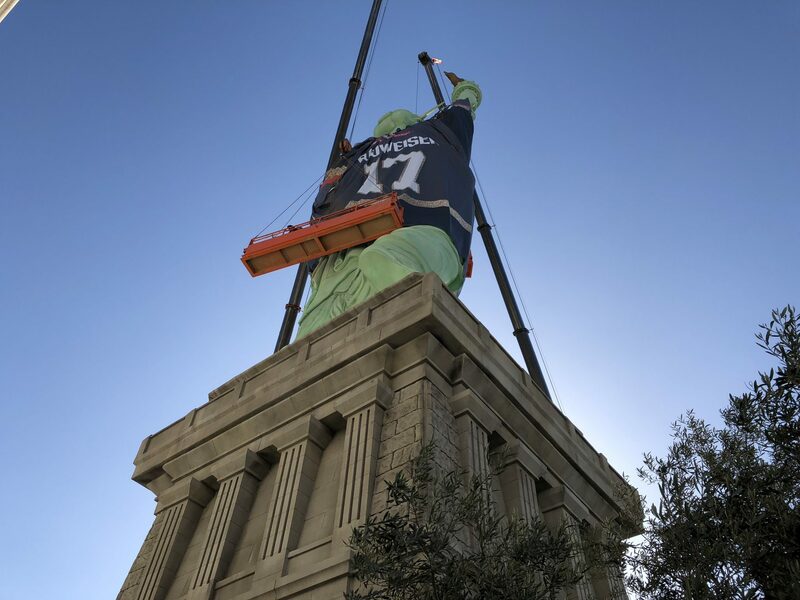 A glorious idea gloriously executed. 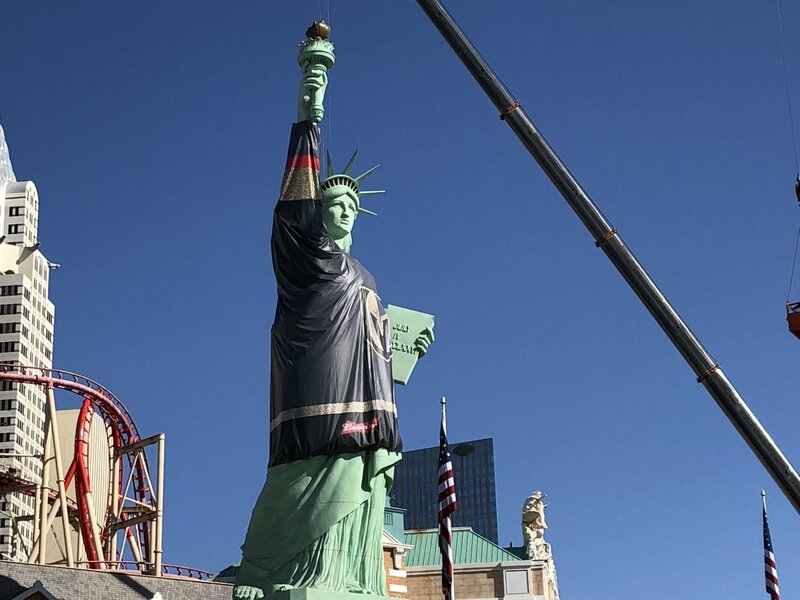 My only issue with this, quite simply, is the Budweiser name on the back of the jersey. 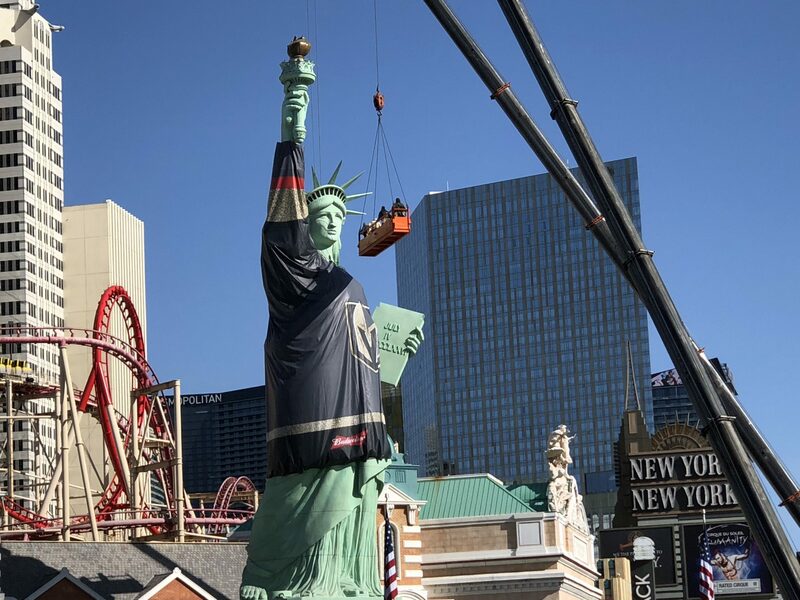 Did this really need to turn into a beer ad? 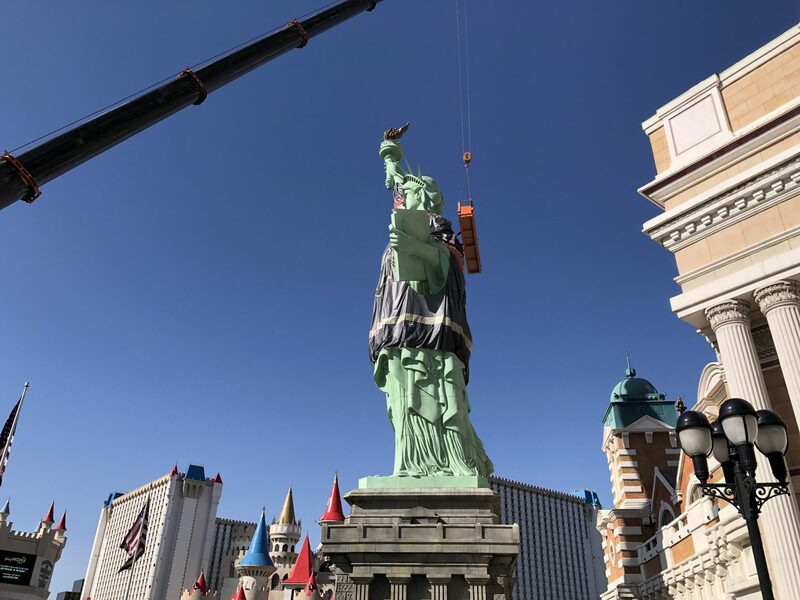 Any idea how big that sweater actually is?